I will be hosting a webinar for Kiplinger.com on November 9th, after the election. Fast forward to the day after Election Day. You know who the next President will be. There’s going to be a lot of to-ing and fro-ing and the usual uproar about what the new Administration will do and how the markets will react. But focusing on the din in Washington isn’t nearly as important as identifying the macro trends that actually will determine how your investments will perform over the long term. Schedule conflict? The presentation will be recorded and viewable on demand whenever and as often as you wish. What: 6 can’t-miss wealth-building web conferences. When: Between today and January 31, 2017. Why: To help guarantee your richly rewarding future. Where: View the presentations on your computer wherever you have Internet access. All web conferences will be recorded. Have a schedule conflict on a live event date? No worries, view the recorded program on demand whenever you like. Get one web conference FREE when you sign up for all six. $29 per conference — all six for just $145. Mr. DeShurko is a registered representative of Ceros Financial Services, Inc, (Member FINRA/SIPC). 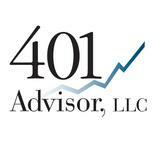 Ceros is not affiliated with 401 Advisor, LLC or Fund Trader Pro. The views expressed are those of Mr. DeShurko and do not necessarily reflect those of Ceros Financial Services, Inc., its employees or affiliates.